Phantom3D is associated with printing@securemicrosolutions.com a specialist 3D design and print company based in the UK. 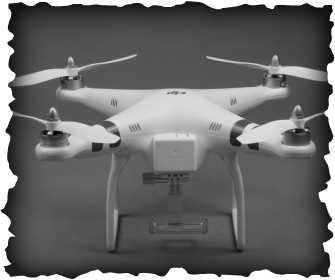 PhantomUK is a site dedicated to the design and supply of 3D printed upgrades for the very popular DJI Phantom Quadcopter and future derivatives. All our products are unique, designed 'in-house' and all are aimed to further improve the already AWESOME experience of owning and flying a DJI Phantom Quadcopter machine. We fly, film with, experiment on and love our own DJI Phantom Quadcopters! 3D printing is not a new technology, but recent innovations in 3D printing hardware allows us to bring you these 3D printed upgrades at a very affordable price. All 3D printed items are not as 'aesthetically' perfect as injection moulded products - but they are all acceptable in their look, strong, functional and we believe very innovative, fun, practical and very useful to add! The majority of our 3D printed products are made using a non-toxic PLA plastic compound, which in the first instance has a base colour of your choice. However, if required it can easily be painted/sprayed using a standard acrylic hobby paint. PLA plastic is very strong and durable and can also be drilled, sanded, filled or shaped by tools if required. If you have any questions about the 3D printing process we use, or questions/suggestions about any Phantom products/upgrades we offer, please contact us using the 'ContactUs' page at the to of this page .... under the 'more...' title - we welcome and strongly encourage your input. Thank you for visiting us and most important of all ... ENJOY OUR UPGRADES!